Home Page > News > Spring Has Sprung! Say Hello to the new season at Argento! We're ready to come out of our Winter hibernation and embrace the change that the Spring season brings. This season we are loving updated designs of our favourite Spring hero's - butterflies, bees, ladybirds and flowers! Scroll through our blog to get more than a flutter of inspiration for the new season. We hope you'll join us in celebrating the beauty of nature every day. 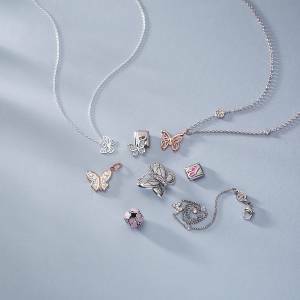 The perfect symbol of change, butterfly jewellery is everywhere this season! More elevated than the classic butterfly hair clips of our youth, our latest batch of butterfly jewellery will add an elegant twist to any look. Spread your wings and view our favourite butterfly designs below. Part of Olivia Burton's worldwide appeal is their love of nature inspired design. Butterflies have always been a part of the brands DNA, and come in a variety of styles to suit everyone. This striking square dial watch will add a cool vintage finish to your every look - bonus points for the Spring infused mint strap! 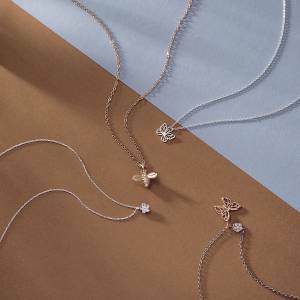 The sweet necklace features a hinged design, meaning these dainty butterfly wings look like they're moving! We love the floral explosion of the embellished butterfly watch! This blooming dial is adorned with a floral and butterfly print, and even the watch strap has been decorated with a gorgeous butterfly motif. Enter Pandora's secret garden this season with a dazzling range of nature inspired jewellery! This dazzling ring and earrings from the Shine collection will add a golden glow to your look! The perfect way to symbolise a chapter of change in your life, add these Storie earrings to your look for an elegant drop of sparkle. Yes, it may not feel like Spring is 100% here yet - you're still having to duck for cover from those pesky April showers! If you look around however, you'll find that the daffodils have sprung up - the first sign of Spring! Treat yourself to some floral jewellery as the year-round reminder of the wonder of Spring. We've always got time for flowers, especially when they're as pretty as Olivia Burton's offering! Well known for their love of flowers, these daisy pieces from Olivia Burton are well worth an investment. We're struggling to choose between the vegan friendly watch, the dancing daisy watch, or these sweet stud earrings! Bursting with colour and life, the Pandora flower arrangement charm will add the perfect drop of colour to your Pandora collection. Flower crowns are the new tiara rings! This Pandora Rose ring will add a chic drop of sparkle to your look and is perfect for stacking. Bloom and Grow - the perfect Spring metaphor! We love this adorable watering can charm from Pandora, the ideal for any green fingered fanatics. Add some sweet style to your look with an adorable ladybird or bee design! These creepy-crawlys are sure to give you the Spring season bug! All you have to do is decide if you want to be Queen bee or a lucky ladybird. See our favourite picks below. Mix up your look with these cute Pandora Ladybird earrings. We love the extra sweet sparkle, courtesy of the sweet purple crystals. Vivienne Westwood has long been known for her quirky designs, and this ladybird bracelet is no exception! Let this little guy crawl up your arm for a pop of colour. Turn this Pandora Ladybird charm around to find the engraving "Love makes life extraordinary!" 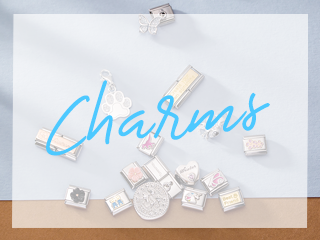 When it comes with charms this cute, we couldn't agree more! 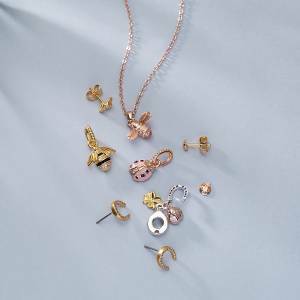 Perfect for any age, this Nomination bee charm will add a delightful finish to your composable bracelet - perfect for a spring clean! This Olivia Burton ring will add a sleek finish to any look and looks equally striking dressed up or down - better yet, it's adjustable! Cement your queen Bee style status by adding this Pandora charm to your Reflexions bracelet. This striking charm certainly packs a sting! There's a certain type of mischief and magic in the air at springtime. It's a time to embrace change, in our style or our attitude. Yes, it may still be raining outside, but sometimes you have to create your own sunshine, and remember to have fun. Below are some of our favourite jewellery pieces that inspire us to have a Spring adventure! Catch Pandora's Floral Bella Bot before she flies away! All ready for a springtime adventure this cheeky fairy is #1 on our Wishlist! The perfect reminder for a rainyday, Nomination's "Create your own sunshine" is the perfect drop of sunshine throughout the year. 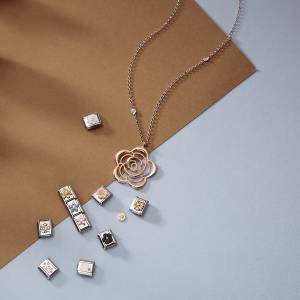 Keep things carefree and happy this season with Nomination's happiness charm, a great addition to your composable collection. You're never to old to believe in fairies, Nomination's flower fairy charm will make a whimsical addition to any Nomination composable bracelet. Always make time to watch out for fairies! We love Ted Baker's romantic pink watch, complete with a sparkling fairy design! Embrace the unpredictable weather as stylishly as possible with this fun and quirky Vivienne Westwood cloud necklace! 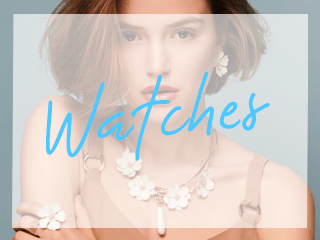 Thanks for reading our Spring inspired post, we hope you find time in between your Spring cleaning and planning for Summer to treat yourself to some new jewellery! Don't forget to embrace change and step into Spring feeling light and nature inspired! Hopefully the most challenging part of the new season for you will be choosing between flowers, butterflies, bees, ladybirds or fairies! 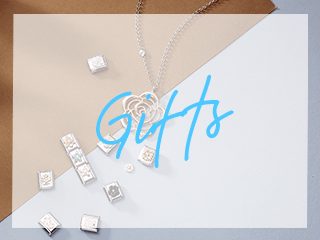 Made For Mum - Argento's Mother's Day Gift Guide! Make your jewellery purchase even more special! Get Carried Away With Love! We Propose That You Say Yes To Us! Looking for the perfect stand in ring? Argento has got you covered!